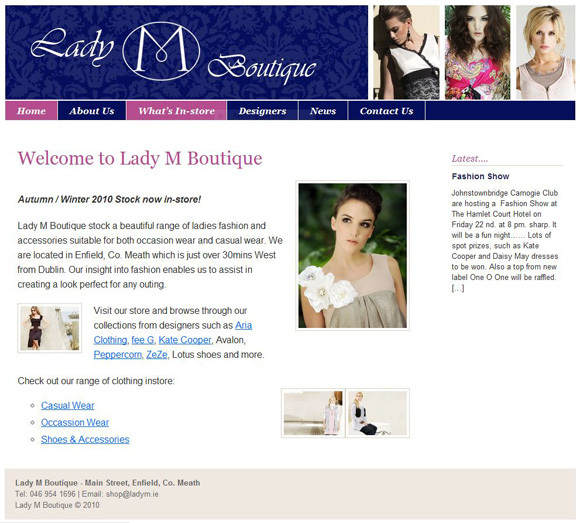 Lady M Boutique is located in Enfield, Co. Meath. They have a great selection of ladies fashion – both occassion wear and casual wear from lots of great brands. You can also find shoes, bags and jewellery to complete your perfect outfit. Check out their Autum / Winter 2010 collection now in-store at Lady M Boutique!